It’s Day No. 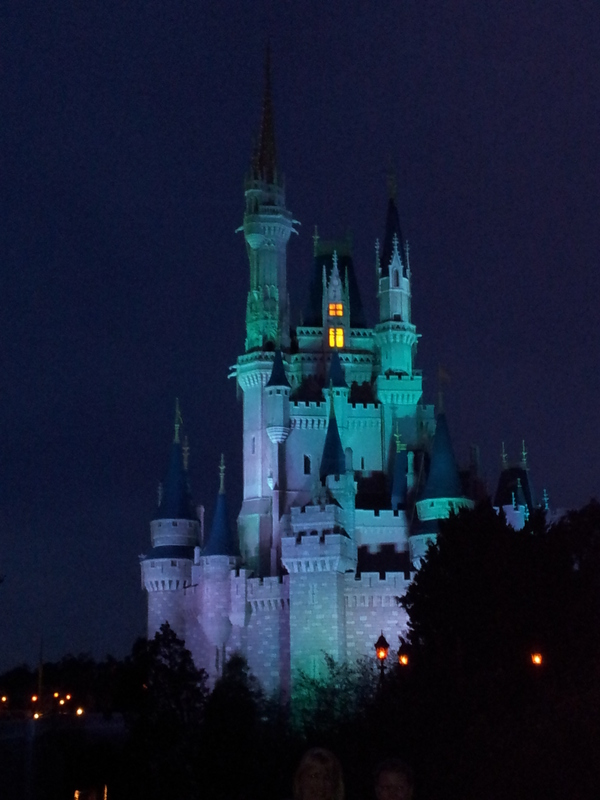 1 of a new year, and I am getting back to reality after a holiday sojourn at the Magic Kingdom. It was great fun, but truth is it wasn’t magic. I got tired walking through the crowds, irritated at standing in long lines and hungry for food with unbelievable price tags. Disney runs on money – and the labor of a gazillion hired hands – not magic. And like those hirelings, I will be back at work in the morning to earn what I need to fund my everyday life. New year, but same old responsibilities. There is nothing magical about getting back into the work/life groove after a summer- in-winter vacation filled with sleeping in and ordering off the menu. For me, this is where the message of Christmas gets real: Emmanuel, God with us. Not God floating around in space somewhere. Not God waiting for me to die and be received on high. No, the Christian God, the Christ of Christmas, is God right here, right now in real time. God with me in the I-40 traffic when some nut cuts me off and gives me the finger. God with me when the “Check Engine” randomly pops on after I’ve already dropped a few hundred with the mechanic. God with me when I arrive home exhausted and wondering what I can possibly make for dinner in the hour I have before soccer practice. God with me when people are talking to me a mile a minute and I’m already on system overload. What I love about Christmas is that its real “magic,” if you will, doesn’t end when the ornaments are packed, the lights are unplugged and the tree is tossed. The power of Christmas is having Christ with me, in me, enabling me to deal with everyday stuff. My pre-holiday frustrations and troubles are unchanged. But so is my God. He is unmoved by the calendar. Jesus is the same yesterday and today and forever. So as we head back to the office in the morning, let’s remember that God is with us right in the frustrating, irritating thick of everyday things. Because He lives, we can face tomorrow. It’s Christmas night. The last package has been opened, the last dessert eaten and the dishwasher packed. Cup of tea in hand, my mind goes back to Day No. 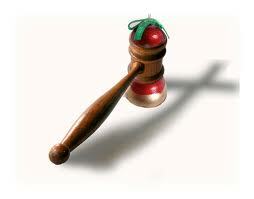 8 of what I now refer to as my Advent Jury Service. We jurors are by now on a first name basis. Personalities are beginning to show and personal stories are shared. Juror No. 6 is the twentysomething manager of a golf pro shop. He has an ever changing list of “me and my buddy” adventure stories. Juror 11, a chemistry teacher, carries a big satchel filled with papers he grades whenever he gets a moment. Juror 9 is the one who gets my attention. He sits directly in front of me in the box, the outline of an oddly shaped scar just visible beneath his buzz cut. He speaks rarely. When he does, his speech is slightly thick, but his mind is sharp. He’s built like a professional baseball player; the only thing missing is the uniform and a wad of Red Man in his cheek. No surprise that he is a coach. When conversations turn to accidents and survival, Juror 9 starts to say something about a life-altering event just as the bailiff summons us back to court. We return from a recess and I ask if he would share what he’d meant to say earlier. Turns out, in high school, he was well on his way to becoming the pro baseball player he resembles. He was being recruited to play in college; he had offers. All that ended with a knee-to-the-head collision with a fellow player that left his skull cracked and his brain permanently damaged. Everything changed. Suddenly, an easy run to class became a grueling 15-minute walk. Without meds, even today, he risks seizures. “That’s when I found out who my friends really were,” he said. Most shunned him because he was “different.” He eventually left his home state to start again. He tells his students that most of the people they know are just acquaintances; if they have three friends in all of life they will be lucky. We are all quiet after that. For a moment, the trial in Wake County Superior Courtroom 10B fades in importance. It’s about money. Life comes down to relationships. On Day 9, we rendered a verdict and went our separate ways to meet holiday visitors at airports, finish trimming trees and otherwise make merry at Christmas. Juror No. 9’s story seems a fitting part of the season. Like that juror, we Christians aren’t what we used to be. If any man be in Christ he is a new creature. The change doesn’t always set well with former friends; and sometimes we have to start fresh. But we don’t do it alone. Through every day, every circumstance, whether tragedy or triumph: Immanuel, God is with us. That, beloved, is Christmas every day of the year! Jobless Benefits Will End, Merry Christmas! Millions of out-of -work Americans could have a blue Christmas and an even bluer New Year as their unemployment checks stop coming. States provide 26-weeks of unemployment payments. That’s 6 months, which the feds customarily extend in recessions. On Tuesday Congress, preoccupied with infighting, let lapse the provision that would have kept the payments coming for the long-term unemployed. That means the checks will stop at the end of the month for about two million people and more in January. The Angry Guy seated across the room from me at the NC Employment Security Commission the other day isn’t going to be happy. Thirty years on a job, he recently boomed, and now unemployed. Twenty-seven versions of his resume, one for every job that looked promising, and nothing. He didn’t deserve this! I, too, am unemployed . The difference is I’m not angry. Disappointed, yes. Angry, no. I enjoyed my work and, by all accounts, the people I worked with were pleased with my performance. Employers are looking to save money in a bad economy; and payroll is a big expense. Budget cuts summarily eliminated my position. That was that. I packed, surrendered my credentials and left the premises — thankful I qualified for unemployment benefits and knowing I’d still eat because my husband takes care of home. For the record, recipients of unemployment benefits must be continually “working” to find work. In North Carolina, you must keep a record providing proof-on-demand of having applied for at least two jobs each week that you file a claim. Any wages earned while receiving unemployment payments must be reported. Theoretically, the ESC helps the jobless start again. In practice, dozens of unemployed people wait in lines (some with babes in tow), fill every chair, lean on walls, spill outside. The employment counselors seem sincere, but I got the impression they are overrun. It can take days to get an email reply. A telephone call is met with a busy signal or voice mail. I was chosen for a 13-week “stimulus” re-employment program for the recently unemployed. It includes a speed pass for quicker access to face-time with an assigned counselor, required resume writing workshops and other resources. Nonsense. She could type and had raised children. Using a computer is a piece of cake in comparison. “You can do this,” I assured her, echoed by a woman who said her parents took a class and learned to use Microsoft Office. Most of us have a lot riding on getting a regular paycheck. It’s natural to get angry when we see those checks disappearing. And tears are understandable when you consider the competition for even low-paying positions (5 applicants for every opening I heard on NPR today). In life things happen, and we have to be willing to make adjustments. So I’m cautiously optimistic as I work to find new work. Meanwhile, I hope the unemployment checks keep coming. And God bless us everyone! All the presents have been opened. The last Christmas cookie has been eaten. The tree is dropping needles all over the wood floor; and you go back to work in the morning. Bummer, right? It’s hard to return to office routines after the holidays. We’ve enjoyed late-night games of chess or pinocle, seen the new movie releases — eaten, drank and made merry with no thought to alarm clocks, deadlines or unfinished projects on the job. Why can’ t we linger here a little longer? Even the shepherds had to go back to work. The herald angels found them on the job that first Christmas — out in the field watching over their flocks. They were told a Savior had been born in Bethlehem, and they set out to see for themselves. But the shepherds didn’t camp at the manger anymore than we can. They returned to the fields where their flocks were waiting. They went back to work. Each of us has a field of influence and responsibility. Maybe it’s sitting in front of an office computer, seeing patients in a hospital, caring for children in daycare, managing loans at a bank or moving mail at a post office. We’ve enjoyed bounty and blessing this Christmas. Why not imitate the shepherds, and take a spirit of gratitude back to work? I have a confession to make. In social settings, even at Christmas parties, I’m not quick to volunteer my Christian identity. I’m not ashamed of the Gospel. Experience simply has taught me that identifying myself as “Christian” rarely sparks conversation about Jesus Christ. 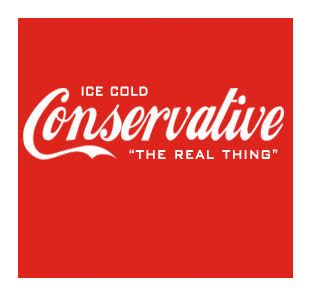 Most people fast forward to polarizing politics, and I am summarily dismissed as a whacked conservative. Conversation over. a) Religious person whose views convey a lack of intelligence and a naivety about popular culture. b) Misinformed person who gets my news from the Fox Channel and Rush Limbaugh. c) Selfish person who is more concerned about lowering taxes than meeting needs. Twisted thinking. Jesus had intelligent conversations with sinners. He ate with them, attended their weddings, their dinner parties. He answered their questions, provided a living, breathing representation of the invisible God. Religious conservatives, of course, rejected Him as a liberal friend of sinners and tax collectors. He denounced the conservative for public piety without inward repentance. Christians used to be known by the charities, hospitals and colleges we established, by the lives changed through our sacrificial service — things worth discussing. That kind of conversation might lead to Why we do those things, which ultimately brings us to Who. There are still a few more parties to attend. What will you be talking about over Christmas cookies and punch? What Gift for God this Christmas? ‘Tis the season of giving. It’s tough enough to come up with a gift for the person who has everything. What do you give a God who has given you everything? The Hebrew word for “glory” – kabowd – can be translated abundance, honor, reverence, dignity. The word for “strength” – oz—means might or strength in a physical, material, social and political sense. I get the honor-abundance connection. We rarely entertain, but we’re planning a family dinner this Christmas. My husband, a generous guy, has given me one word of advice: abundance. If you want to honor people, you don’t cut corners. I need the reminder. A natural scrimper, I cut coupons. I sometimes re-gift. I buy beef tenderloin only when it’s one sale. If I’m not careful, I’ll bring this cheapskate mentality to worship. But God is a great God who deserves top-shelf treatment. This is no light-weight, inconsequential being to be relegated to “religious” parts of life. We Christians are to give our God the respect and worship due Someone who “sits as King forever.” In all realms of life, our energies are to be directed in ways that support that which honors Him. That, beloved, is one heck of a gift!